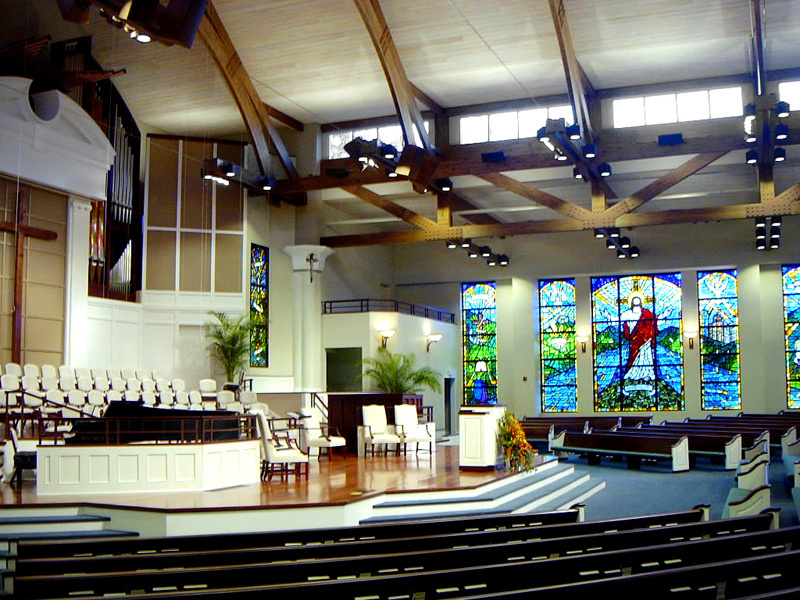 The new Worship Building for Ardmore Baptist Church included an 820 seat Sanctuary with a dramatic open truss ceiling and inspirational stained glass windows. 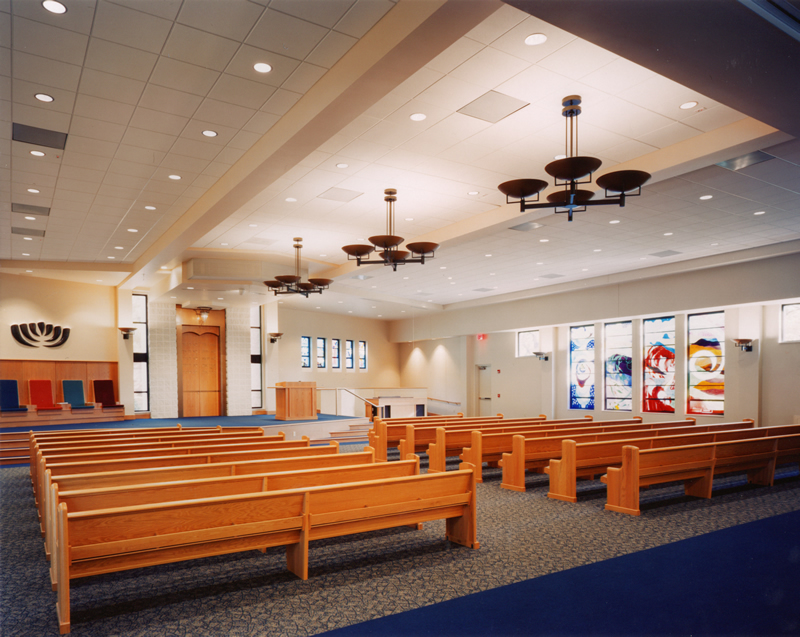 The project also included a new wing for their Childrens’ Education and the church’s Music Program in addition to a new Lobby and Support Areas. 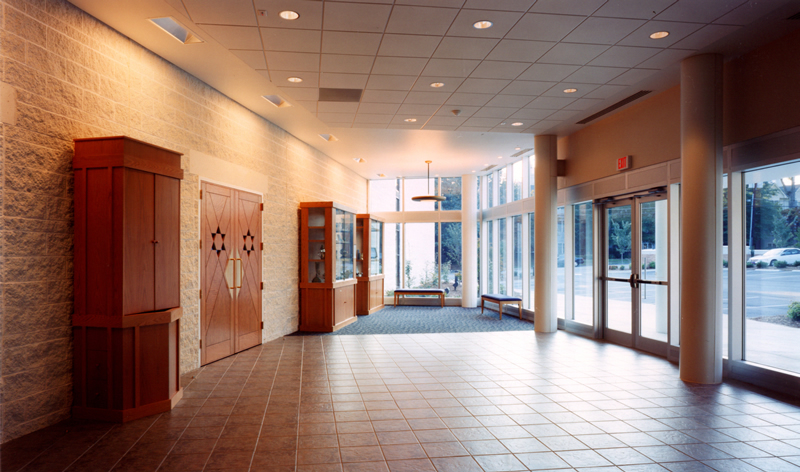 Hayden Design developed the interior finishes throughout the project. Hayden Design worked with the architect and the Building Committee on the development of a design that combines history and tradition with contemporary elements. 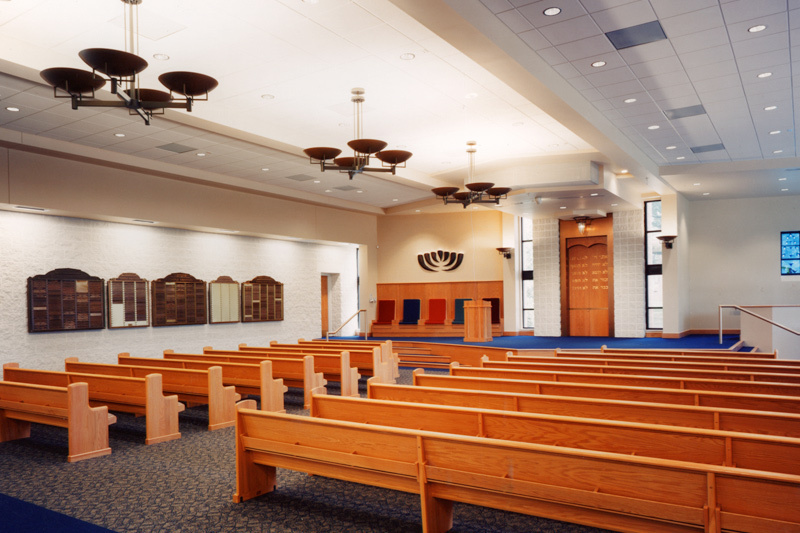 A palette of dark blue, gold and natural wood tones complements the Jerusalem stone wall and the stained glass windows which were relocated from their previous worship building. 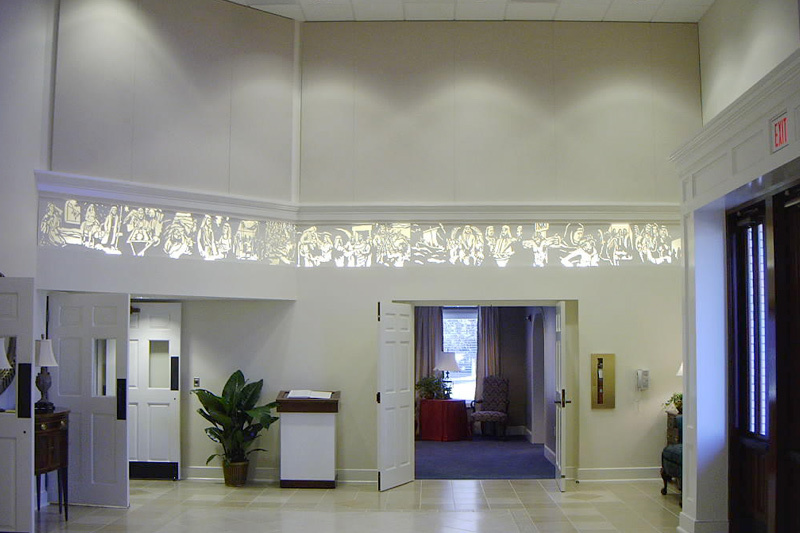 The project included renovating the existing worship building for education and administrative spaces. 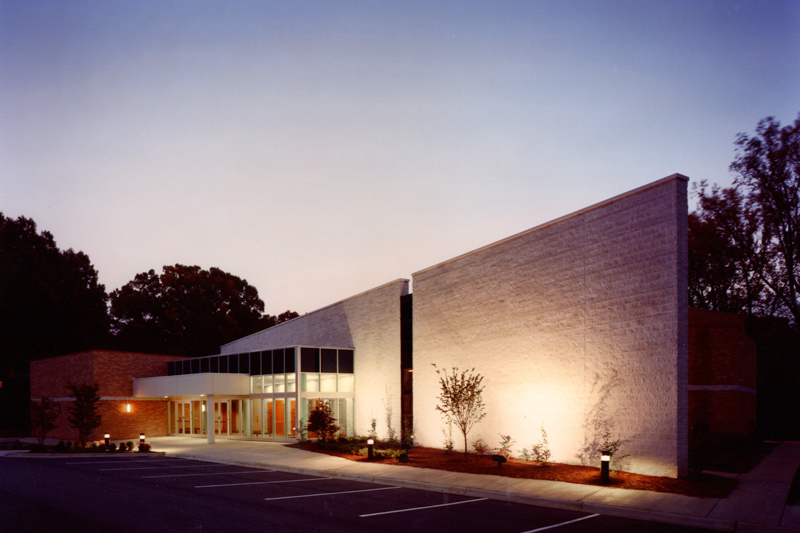 In 2009, Temple Emanuel was awarded a Merit Award by the Winston-Salem Section of the NC American Institute of Architects. 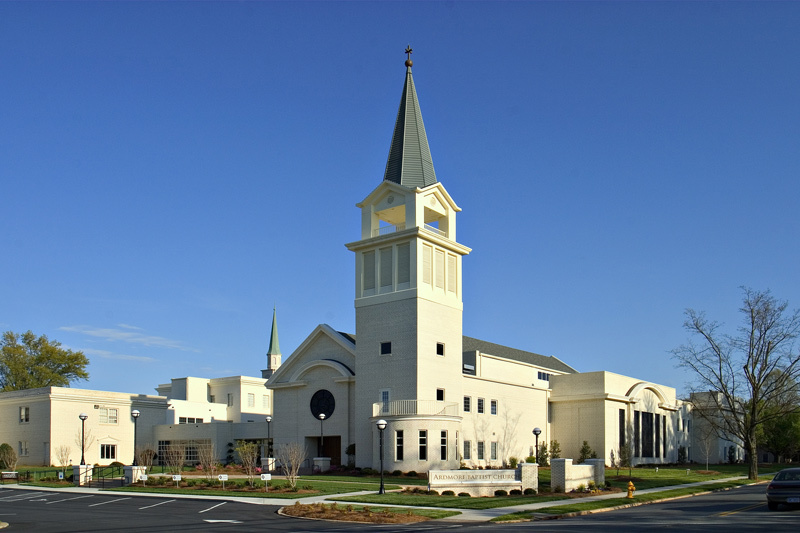 Hope Presbyterian selected Hayden Design to work with them in developing a new campus with a Sanctuary, Education Building and Family Life Center. 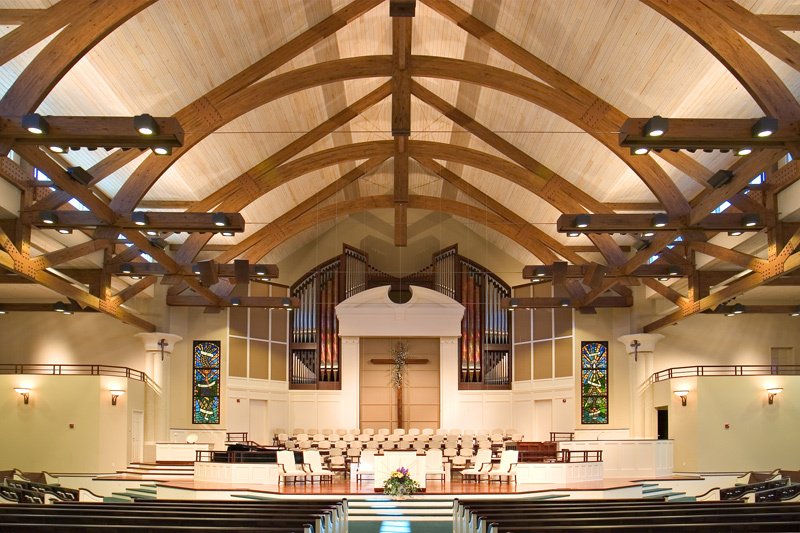 We are part of the architect’s team selecting interior materials, color concept and furnishings to complement the architect and congregations’ vision for their growing membership.